It’s well known that nutrition plays a vital role in the health and well being of the individual. 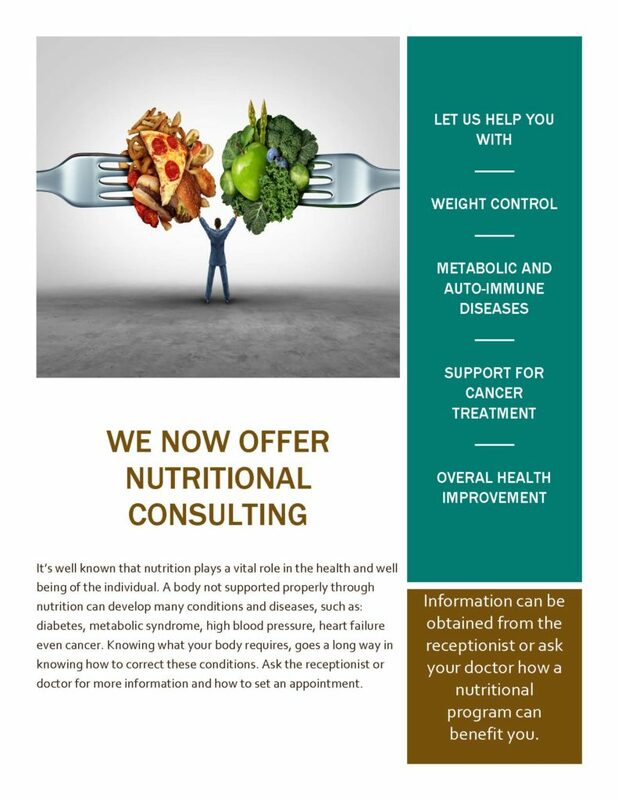 A body not supported properly through nutrition can develop many conditions and diseases, such as: diabetes, metabolic syndrome, high blood pressure, heart failure even cancer. Knowing what your body requires, goes a long way in knowing how to correct these conditions. Ask the receptionist or doctor for more information and how to set an appointment. One of the primary goals of the Elliott-Elliott-Baucom Center has been not only to treat breast cancer, but to discover new more effective treatments that will slow cancer growth and possibly destroy the cancer altogether.Through our own intensive research, we have made great advances. We have discovered that certain biological factors will tell us how fast a tumor is growing. We have also developed and patented a vaccine used in the treatment of breast cancer and one for the treatment of prostate cancer.